Like many articles, a talk on Twitter made me want to sit down and write my thoughts on getting speakers to WordCamps. As a speaker coordinator for WordCamp Miami for a few years, I’ve experimented and tried various things in the past (in fact, i still experiment and tweak the process) and wanted to share some tips for those experienced WordCamps wanting to attract new speakers. When I say “attract new speakers”, this is assuming that whatever WordCamp you’re organizing has already had at least one past WordCamp. And i’m not talking about general tips for attracting speakers, but more specifically i’m reaching out to those who are looking for more diverse and unique speakers in their future WordCamp speaker lineups. Obviously this information won’t apply to everyone, i’m just sharing some thoughts. 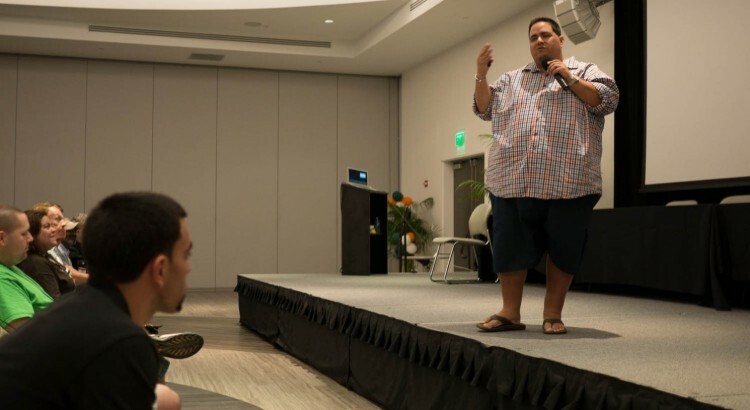 Yes, I pulled a Chris Lema (who is the one in the above picture, speaking at WordCamp Miami 2014). Last year, I reached out to a number of individuals who either didn’t speak at conferences (and in public from what I could gather) or haven’t spoke at WordCamps at all. From the initial rejections I got from them, the most common response was: “I don’t think I could contribute anything of value.” That says a lot right there. But the good news is that after discussion I managed to change the minds of a few… and I’m happy to report that they spoke at WordCamp Miami. There’s a few things you can take away from this, but first and probably the biggest thing in my opinion: I never would have known about these objections (and how to overcome them) unless I first *REACHED OUT TO THESE PEOPLE*. Local talent for WordCamps are always the best and most desirable. If you know there’s demand for a certain subject (say front-end development), then notify local front-end meetup groups in your area and invite them to consider speaking. You’ll be evaluating the applicants as you should, but WordCamps should be reaching out to many web development and technical circles. 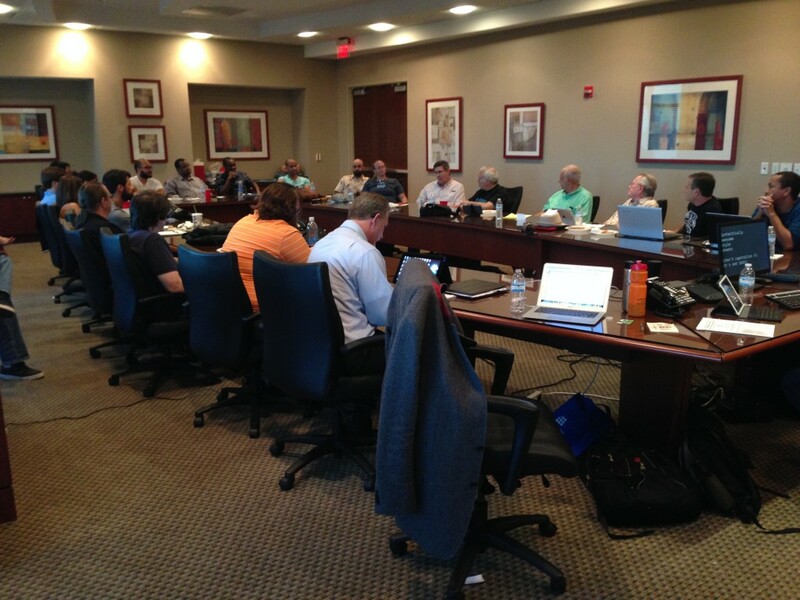 In addition to meetup groups, look for local minority or special interest groups as well. Some cities have special organizations and chapters. GirlsWhoCode is an excellent example. Even if interest for speaking isn’t there now, think long-term. Extending invitations to groups outside of the WordPress community strengthens your event and potentially gives you access to speakers you might not even know existed. 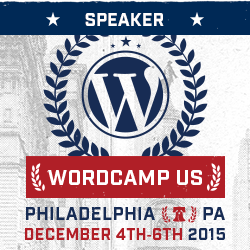 Extend invitations to those in the WordPress community that haven’t spoken much. This doesn’t mean you should avoid or dismiss experienced speakers (the term “circuit speakers” is used sometimes and it’s a term I don’t prefer… experienced speakers sounds more neutral and factual). In fact, newer speakers can be encouraged and learn alot from experienced speakers at your conference. We talk alot about diversity, but one “group” that hasn’t gotten much discussion in my opinion is the youth. I truly believe that we need more representation of the upcoming generation at WordCamps. How are they using WordPress? Are they even using WordPress? Why? Why Not? What can they say to inspire other young ones in the audience? WordCamp Miami last year had Anna Tuttle speak about blogging and her generation, and it was insightful. 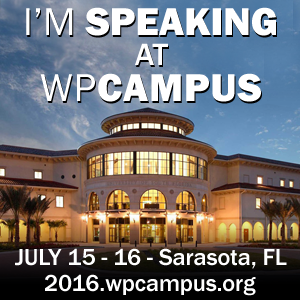 I know a few other WordCamps have had some teenagers speak as well – we need more of it. WordCamp For Kids is great too – teach these kids to publish on the web and you are looking at potential speakers right there. Some people just don’t want to speak, and that’s not something I tend to push. But if you encounter this excuse from someone that you believe HAS something to contribute to your WordCamp, then ask them why. Ask them what lessons they’ve personally learned, and it’s likely those lessons are points that others need to hear. Perhaps they have an excellent “life lesson” to share, or perhaps there’s one under appreciated feature in WordPress that they could point out. These are perfect topics for lightning talks (see below). Meetups are the lifeblood of a WordCamp. Very typically the stronger and more organized the local meetups are, the stronger and well attended the WordCamp in the area is. Meetups are breeding grounds for WordCamp speakers. I rarely put someone new to speaking in a full session at a WordCamp (or any talk if i can help it) without making them speak at a meetup where I (or someone on my WordCamp organization committee) can observe them firsthand. This works on two levels: they get experience talking to a crowd, making slides, keeping track of time, etc. And you (or the observer) have a chance to observe and offer any constructive criticism. It takes long-term planning and forward thinking to approach someone months before a WordCamp to ask them to speak at a local meetup (assuming they haven’t spoken at your meetup before), but it’s worth it. Try not to ask someone when you have only a month or two before the WordCamp beings (you should be announcing speakers by that time really). 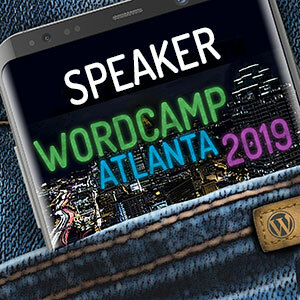 Lightning Talks (brief presentations usually lasting 5-10 minutes) and panels are excellent ways for new speakers to make their debut to your WordCamp. I’ve noticed more lightning talks on WordCamp schedules since WordCamp Miami in 2013 (only because I was paying more attention). Lightning talks allow a speaker to focus on one or two points and is less intimidating then attempting a 30 minute presentation. This format also works well for someone who might have an interest in speaking, but has a hectic schedule. Lightning speakers make great regular sessions speakers the following WordCamp year. Panels can also work but I find that if someone finds speaking intimidating there is a danger of them being talked over on a panel by other experienced speakers. If you have any new ones on panels, make sure the panel moderator is aware. There isn’t too much in the “not to do” category for trying to invite speakers to your conference or WordCamp, at least not much that falls outside the realm of common sense. One thing that I would mention – and bothers me every time I see it – is ones on Twitter sending out mass invites to others publicly. The mass emails usually follow the same format to each person, so they aren’t unique which takes part of the “special invite” quality out of them. Personally, I think mass public invites slightly devalue your WordCamp or at least the actions of the speaker coordinators. If you are truly desperate for speakers, there are better ways. Contact the Foundation to reach out to key Automattic employees or core contributors, or at the very least contact people in a more private setting (via email or direct messaging on Twitter). Another slightly off topic but related point – ALWAYS send emails to those not selected to speak as soon as possible (usually when the last speakers are made public). Even if it’s a mass or generic email (I tend to use MailChimp so at least their names are in the email), at the very least this shows some level of respect. You might want to include some personal details about why the talk wasn’t chosen (depends on the reasons and frankly how tactful you are). Some people take rejections more personally than you realize and even though they weren’t selected many times you would like to see them submit again. Whenever you talk about selecting speakers, the subject of diversity comes up occasionally. You should have a policy or explain the speaker process at some level on your WordCamp or conference page. Personally, although WordCamp Miami always tries to reflect the diversity of the culture at we live in we don’t select speakers solely for diversity reasons. When it comes to diversity, one approach is to at least try to aspire to have a more diverse pool of speaker applications. The more diverse the potential candidates, the greater chance your speaker lineup will be diverse. We’ve already talked about above how to reach out and foster growth for potential speakers – if you do this even before you open up the call for speakers then hopefully you should see the results fairly early on (if not, don’t quit – keep at it). After the conference or gathering make sure to reach out to speakers (personally or via email) within a week or two and get their feedback on the conference. Ask particularly about their experience as a speaker. Do this to all your speakers – from the experienced all the way to the new ones. So that’s what I wanted to share. What would you like to share about more ways for attracting speakers to your WordCamps, meetups, and conferences?